Last week we had our first daytime yak and yarn meet-up. Since we began in March it has been one Sunday evening a month (with the summer off) but we have members who live further afield and so to accommodate we have doubled our monthly meetings to two! Wow! Rather remarkably lapghan #13 originates from Indiana (yes - Y&Y has gone national!). One of our daytime members taught her mom how to make our square while visiting and returned recently to find her mom had completed 63 squares, enough for our blanket. Love this story. It just warms my heart! And I am finishing up the joining of lapghan #14. It's a patchwork design this time since I have the final squares in many different colors. 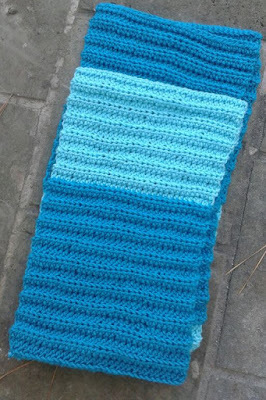 We still have worsted weight yarn left over so we are making scarfs for the homeless using this rather nifty pattern I found online by Evelyn Mayfield on her blog Prayersncrafts. The half double crochet stitch is sturdy but hooking into the back of the loop gives the scarf a pleasing stretchiness. Simple but effective - my favorite kind of pattern. And our next project (#3) will be baby blankets comprised of classic granny squares in a lighter sport weight yarn using a 4mm hook. 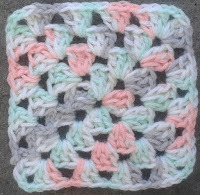 I have written out the pattern since there isn't an original designer I can attribute the first granny square to. 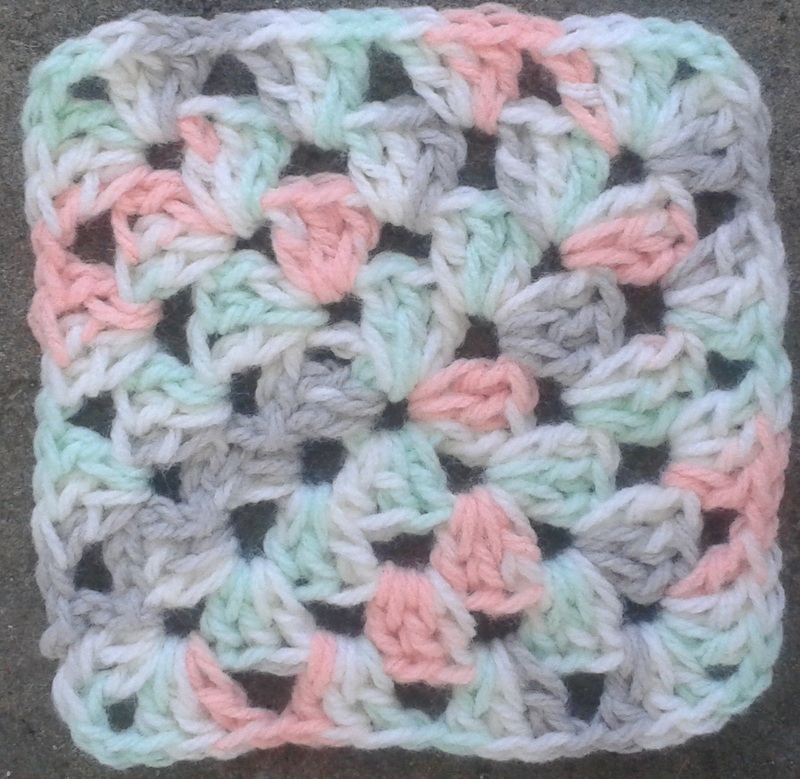 I am a big fan of the humble but versatile granny square.